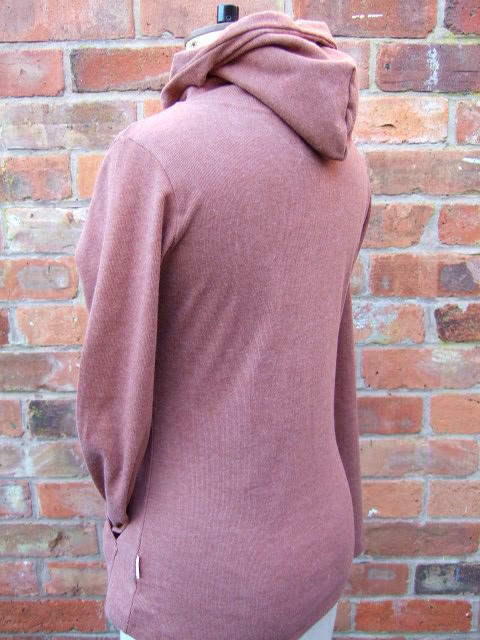 Slightly fitted shape with kangaroo pocket front. Longer curved rear panel for the warm lower back. 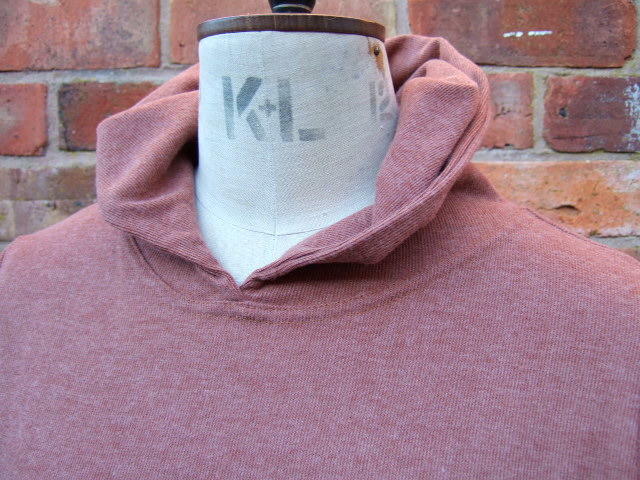 Mid weight super soft brushed cotton jersey stretch fabric. Machine washable. Actually gets softer with washing. 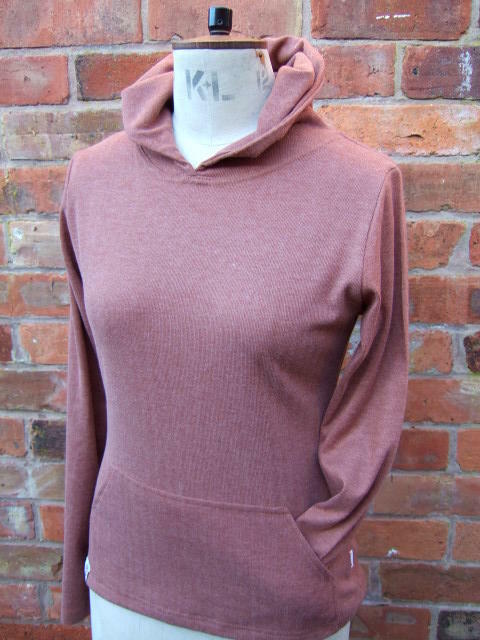 Great on it's own during the summer and the nicest softest base layer in winter.